Rafael Brown, a designer who now works at Doom creators id but once worked for Mass Effect creators BioWare, has an interesting project listed on his resume: he says he worked on Jade Empire 2. Jade Empire was a Chinese-themed role-playing game released by BioWare in 2004. An entirely original IP, it was the developer's first project after Knights of the Old Republic, and last before Mass Effect (which Brown also worked on) would be released in 2007. While a critical success, it wasn't the commercial smash KOTOR was, which may explain why the company moved onto Mass Effect and Dragon Age and haven't looked back. 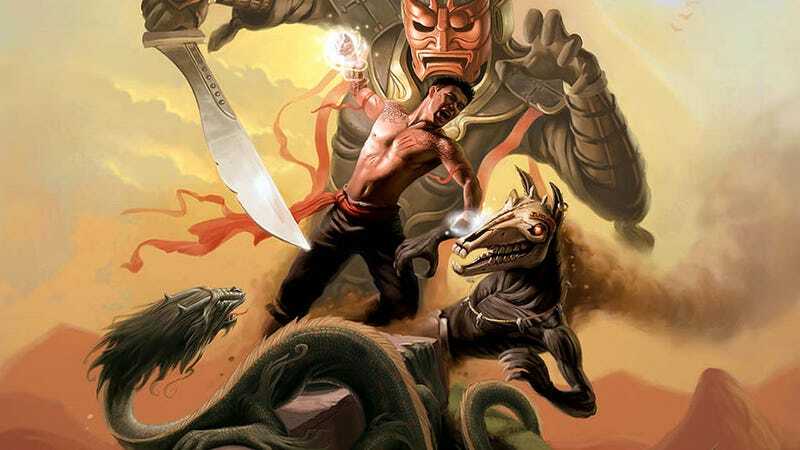 This "Jade Empire 2" likely was little more than a concept piece, a pre-production project with a name, since nothing was ever shown publicly nor has it ever been mentioned by BioWare. Interestingly, Brown has it listed as a PC, 360 and PS3 title, when BioWare's last game (Jade Empire) and next game - Mass Effect - would be PC and 360 exclusives.